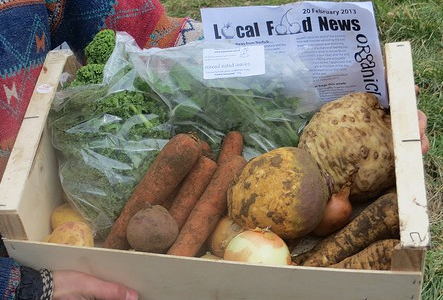 Organiclea’s distribution work is growing rapidly – connecting our produce from Hawkwood Plant Nursery and that of local farmers and growers with customers, restaurants and grocers across the borough and beyond. We are looking for someone to join us on this journey as we build sustainable and inspiring local food enterprises, distributing large amounts of fresh, organic produce. This role celebrates where trade meets relationships, plants and ethics. The ideal candidate will share a passion for developing and delivering a sustainable community food enterprise and working alongside volunteers, with very strong administrative, logistic, strategic and people skills. We are looking for someone who is committed to the important role that local food distribution plays in building markets and livelihoods for farmers and growers whilst offering local customers the very best of fresh produce; someone who is excited to share skills with others and willing to combine day to day operational delivery with strategic development. Closing date for applications is 10 February 2015.